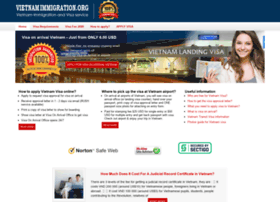 The most reliable and trusted website to apply Vietnam Visa on Arrival. Tourist Visa on arrival, Business Visa on arrival , Tourist eVisa Vietnam, Business evisa Vietnam is now available to apply online. Simple and fast - Just 1 or 2 working days for processing only.